NESTEA BEACH is an annual event offer by one of the best iced tea in our country, Nestea. 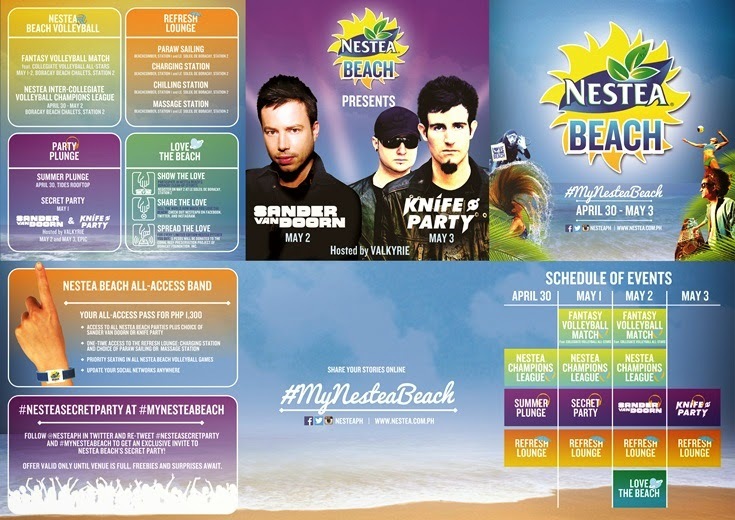 On its 18th year, Nestea Beach will give a summer celebration the way you want it. Nestea Beach will hit the shores of Boracay on April 30 to May 3 with the participants way of enjoying the summer #MyNesteaBeach. Nestea Beach 2015 is a four-day celebration of fun activities, refresh lounges (front of Beachcomber and Le Soleil de Boracay), beach parties (Nestea Summer Plunge Party April 30 at Tides Roofdeck with DJ Nina, DJ Ludwig Van Beat and DJ Ron Poe, Nestea Secret Party on May 1, Sander Van Doorn May 2 and Knife Pary May 3), beach clean-up ("SHOW THE LOVE" on May 2) and of course the iconic Nestea Refesh Beach Volleyball Competition, where star volleyball players will battle to reign. Nestea will bring to Boracay the today's best popular volleyball players for the Nestea Refresh Beach Volleyball Competition, that includes the crowd-favorite Nestea Beach Intercollegiate Volleyball Competition and for the first time the Nestea Beach Volleyball Fantasy Match which top eight volleyball players will compete from May 1 to May 2 in front of Boracay Beach Chalets. And to make sure that we will enjoy all the summer activities offered by Nestea, they recently introduced the four beach ambassadors that will guide and join us through the fun and excitement the event can give. 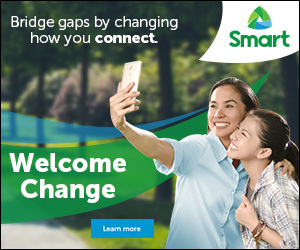 Daniel Matsunaga for Nestea beach Parties, Gretchen Ho for Nestea Refresh Beach Volleyball, David Guison for Nestea Beach Love the Beach and Lissa Kahayon for Nestea Beach Refresh Lounge.